Makarsankranti the festival of Kites cannot be complete without Til Ladoo (Sesame Ladoo) and Tilachi polli with classic Ghadda (Undio). 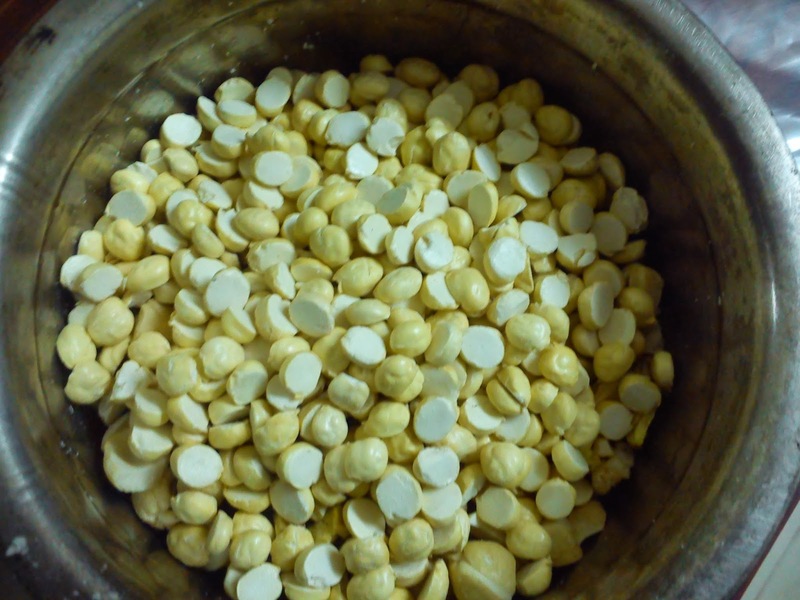 Every Sankrati we prepare heaps of Til Ladoo and distribute among our family relative and friends. It was presumed in the ancient times that sesame was source of energy and heat. 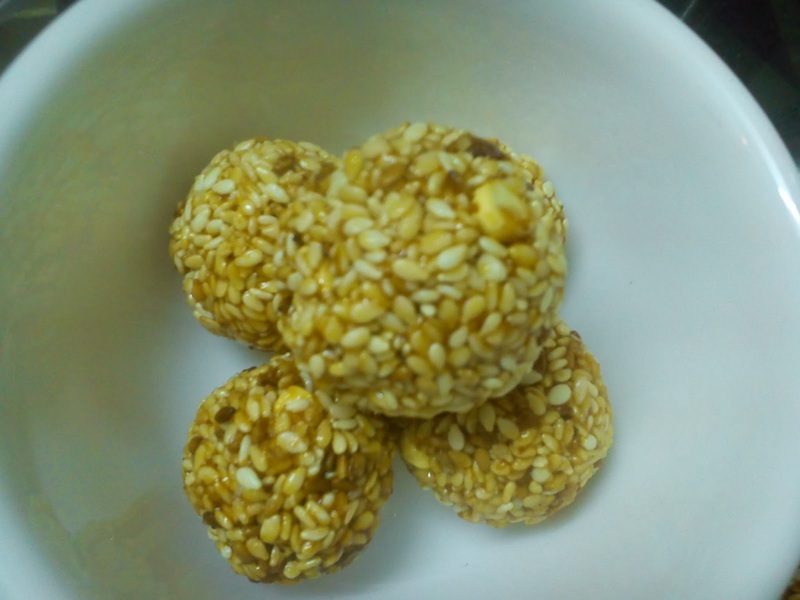 During sankranti the climate is cold and consuming sesame diet gave a warm feeling. I presume that winter days makes one very hungry and having these lovely ladoos makes the stomach really HAPPY!! Since I am a Dentist by profession I would like you to atleast brush your teeth after consuming these yummy ladoos. 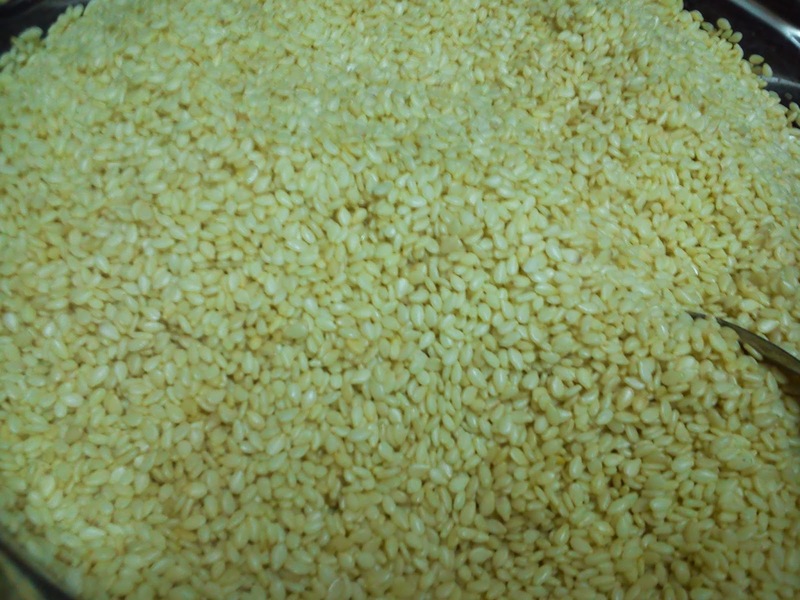 Roast Til (Sesame) in a microwave for 6 mins until they are golden yellow in colour. In a non-stick utensil melt jaggery with a ghee. Keep stirring it continuously until the colour is dark brown and very running. One can note the change in aroma while this procedure takes place. 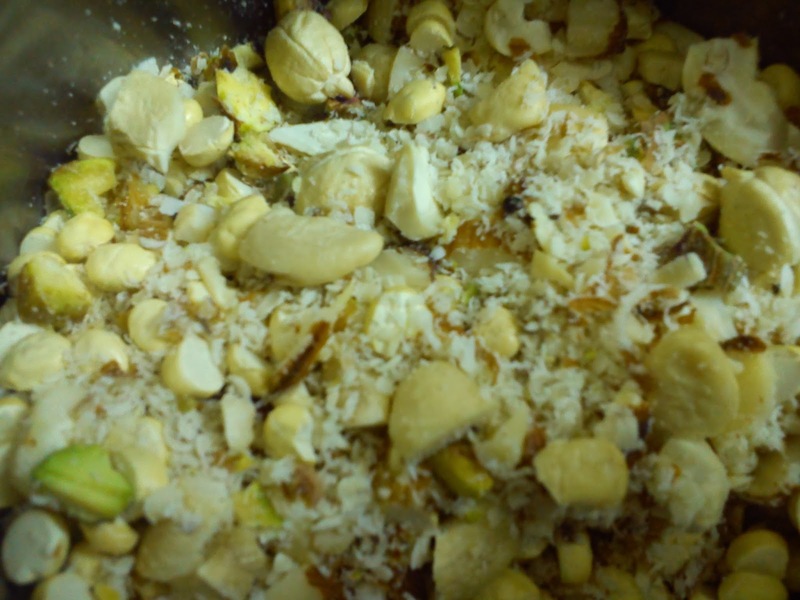 Switch off the flame once the jaggery is melted and brownish in colour, pour the roast til, crushed pistachio, cashew, peanuts, futana and elachi powder together. 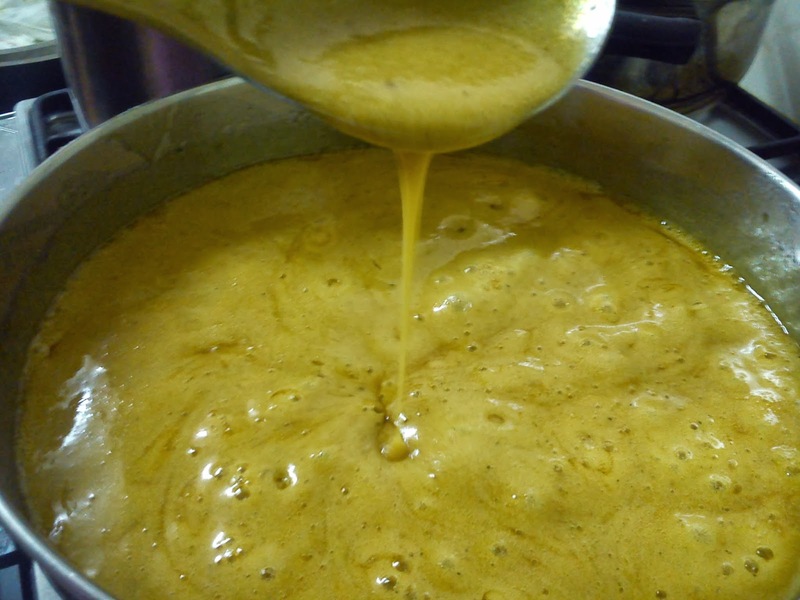 Mix well so that all the ingredients are well coated with the melted jaggery. Quickly coat your hands with thin layer of ghee and roll small ladoos. You need to be really quick in the this process since the mixture can get hard very quick. 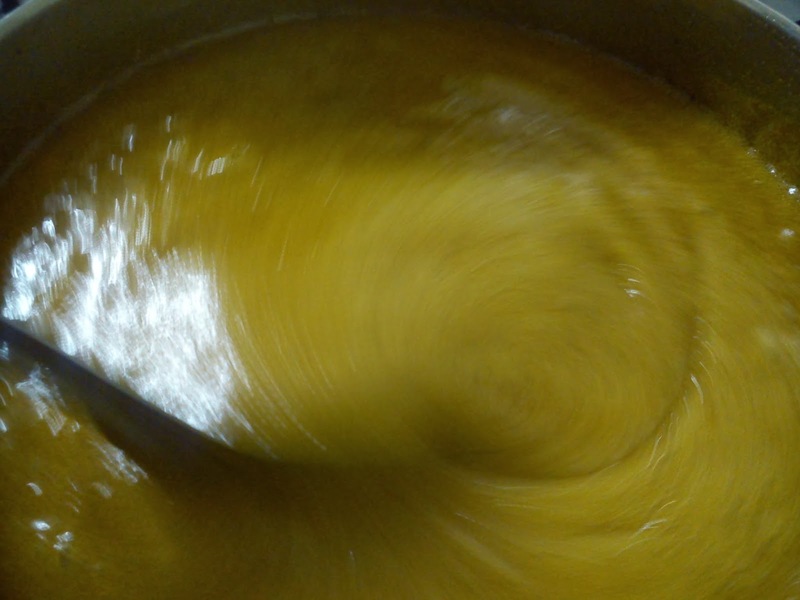 Important Tip: If your mixture hardens before you could roll it into a Ladoo, then just microwave the mixture for 1 min, the jaggery will melt iimmediately making it easy to roll into ladoos. If you dont have microwave then heat on very flame in a non stick utensil but please dont leave it unattended. I hope this recipe inspires some new cooks to try TIL LADOO. Finally TILGUL GHYA GOOD GOOD BOLA!!! Quickly coat your hands with thin layer of ghee and roll small ladoos. You need to be really quick in this process since the mixture can get hard very quick. 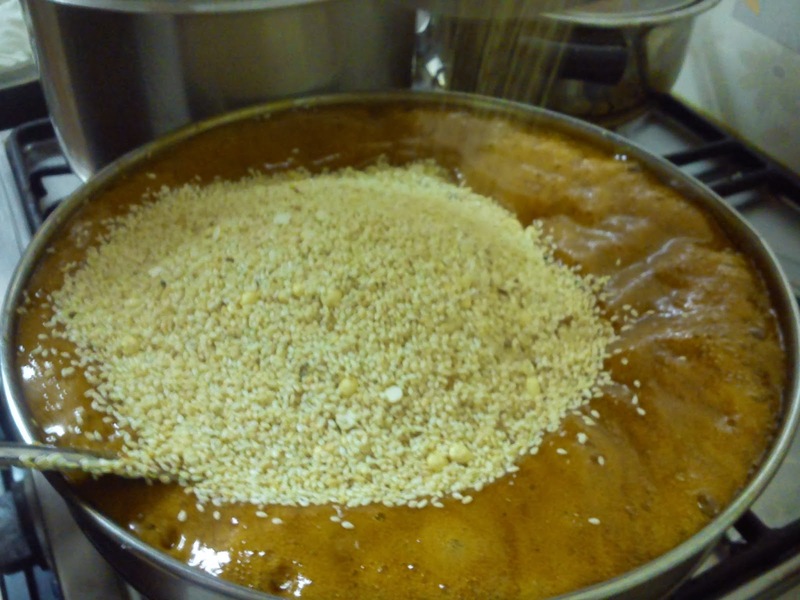 Important Tip: If your mixture hardens before you could roll it into a Ladoo, then just microwave the mixture for 1 min, the jaggery will melt immediately making it easy to roll into ladoos. If you don't have microwave then heat on very flame in a non stick utensil but please don't leave it unattended.